Is there a better alternative to Unibox? 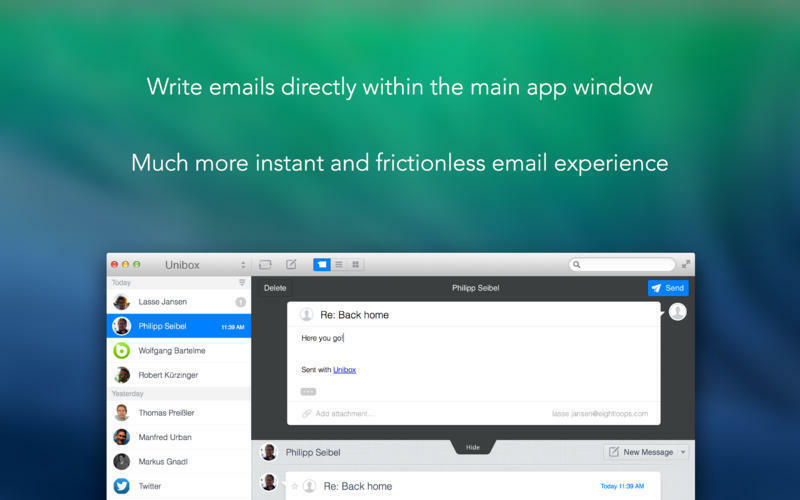 Is Unibox really the best app in Email category? Will Unibox work good on macOS 10.13.4? 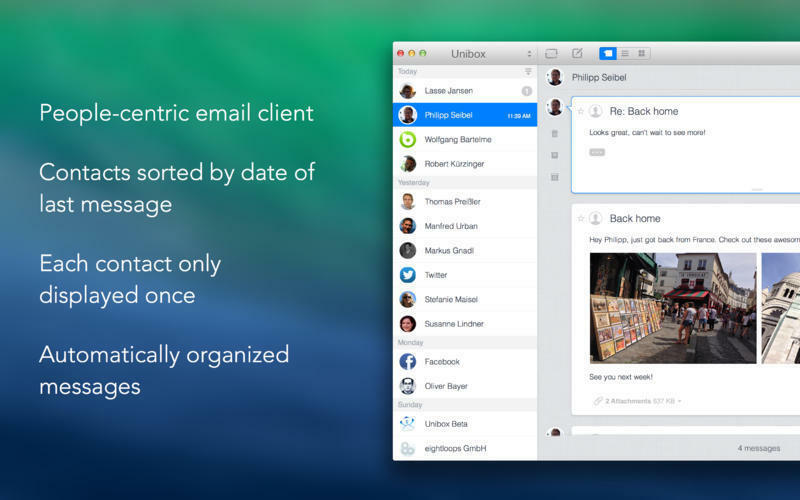 Unibox is a people-centric email client that organizes your messages by person. It avoids having email like a to-do list. 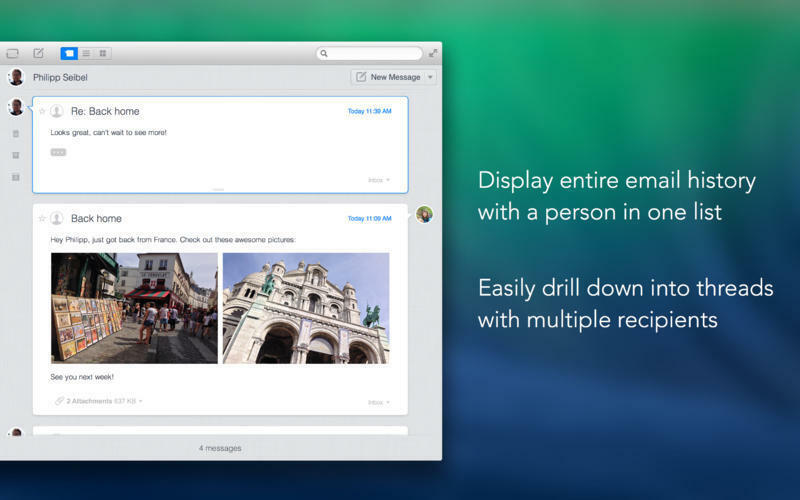 Single window: Instantly compose your messages without opening new windows. Conversations: Easily drill down into a conversation view with multiple participants. Unified Accounts: View messages and conversations across all your accounts. Switch Accounts: Focus on single accounts or folders when necessary. 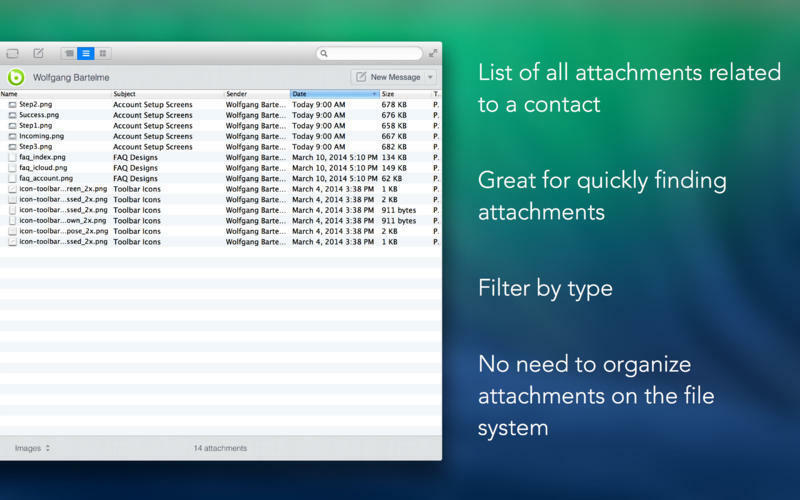 Attachment List: Quickly find documents and files you exchanged with other people. 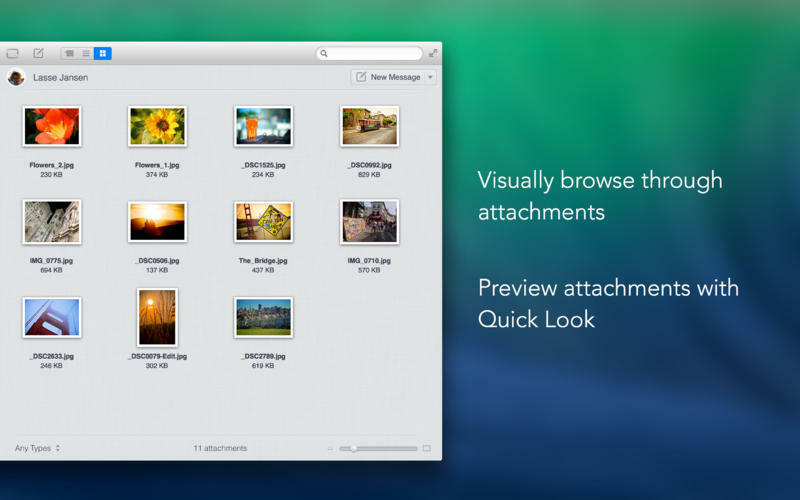 Attachment Grid: Visually browse your attachments and images. Quicklook: Preview attachments without launching external apps. Aliases: Use multiple identities with a single account, including separate SMTP servers.